Wash and dry the rabbit legs. 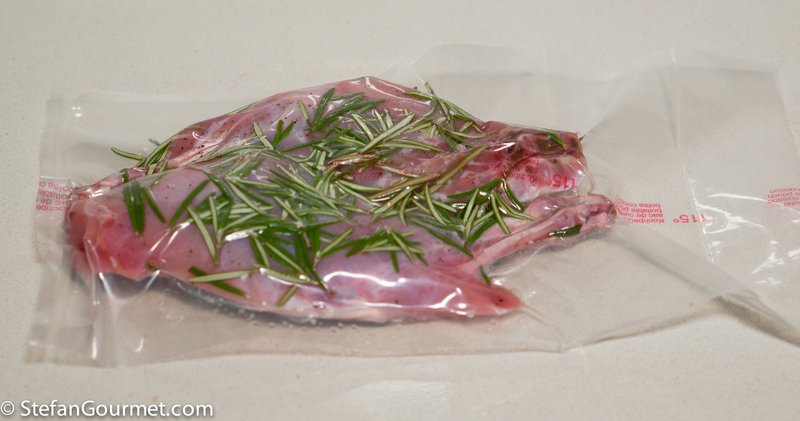 Season them with salt and freshly ground black pepper, and vacuum seal with plenty of fresh rosemary. 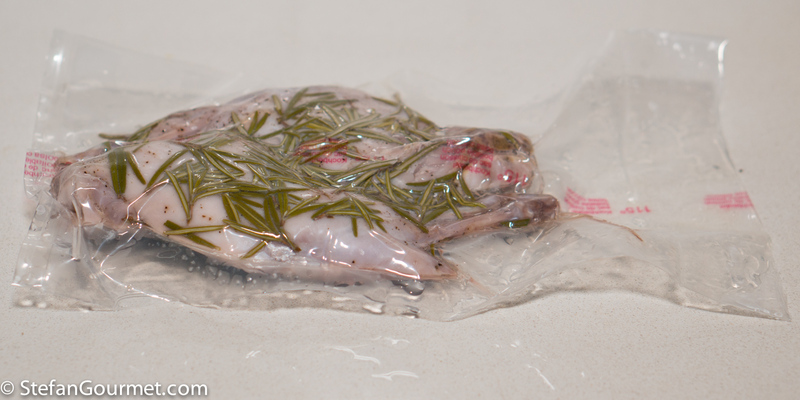 Cook the rabbit legs sous-vide for 8 hours at 75C/167F, 2 hours at 60C/140F, 1 hour at 66C/150F. The longer cooking time will yield the best texture and flavor if you have the time. …and cut into pieces of 2 to 3 cm (1 inch). 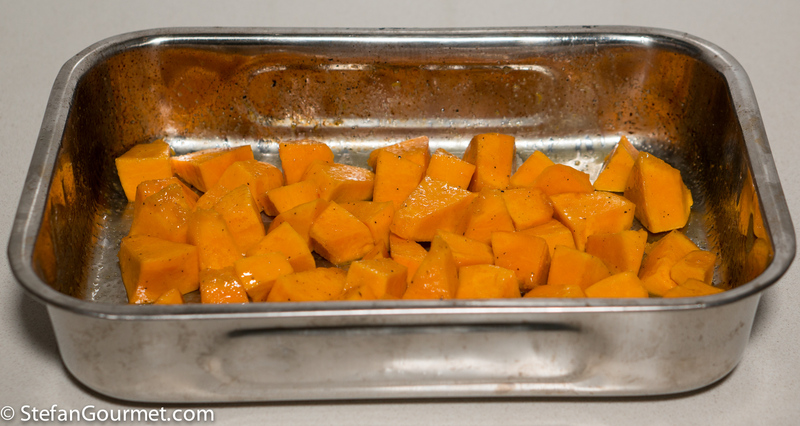 Put the pumpkin in an oven proof dish and toss with 2 Tbsp olive oil, salt, and freshly ground black pepper. Roast for 15 minutes at 225C/440F, then take out of the oven. 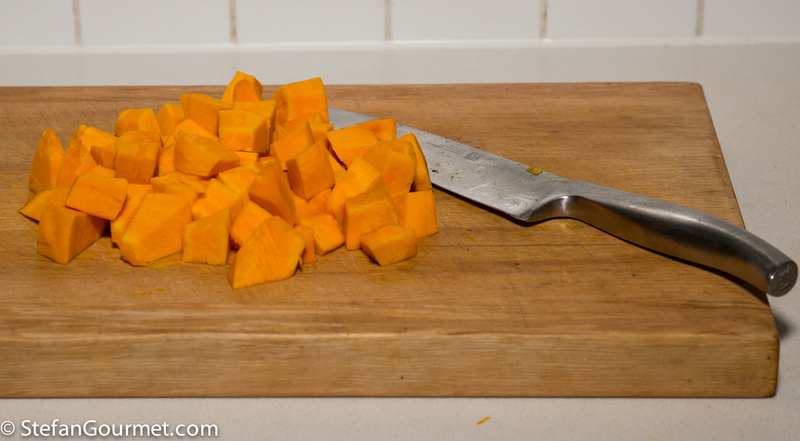 …until the pumpkin is tender, about 15 minutes. 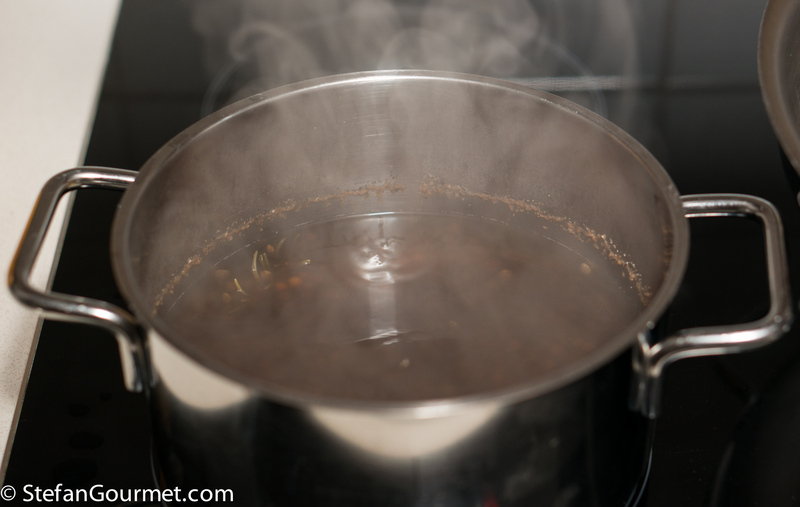 Meanwhile, wash 120 grams (2/3 cup) of lentils, and put them in a saucepan with ample water (750 ml or 3 cups). Add a sprig of rosemary and bring to a boil. 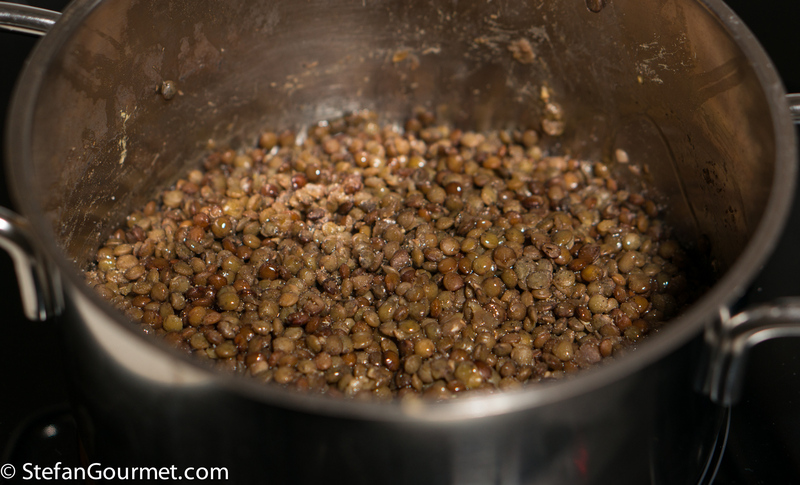 Boil the lentils, covered, for 25 minutes. 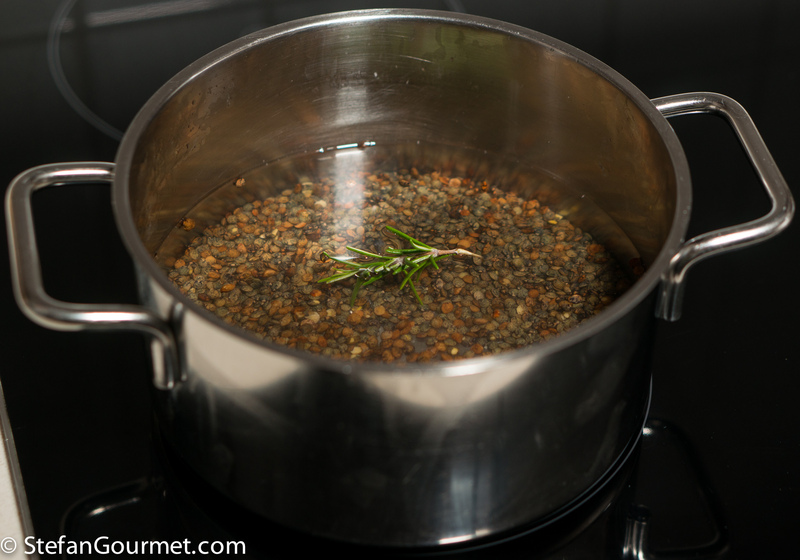 Drain the lentils and season with salt, freshly ground black pepper, and a tablespoon of good quality extra virgin olive oil. 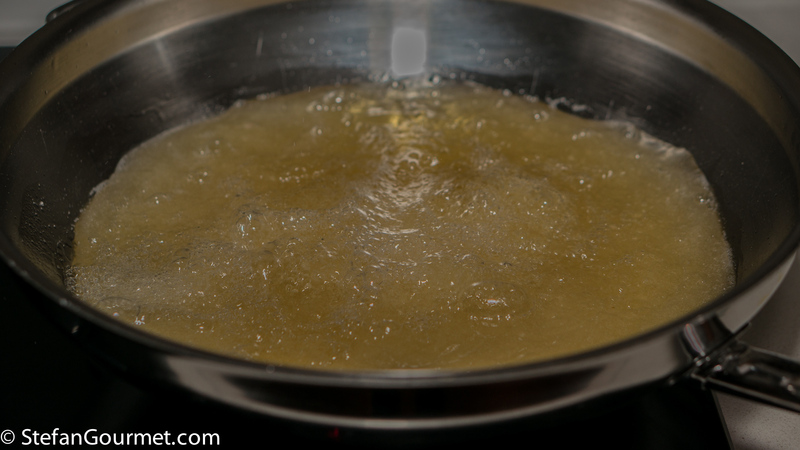 Heat up an ample amount of frying oil in a wok or other suitable vessel to a temperature of 180C/350F. 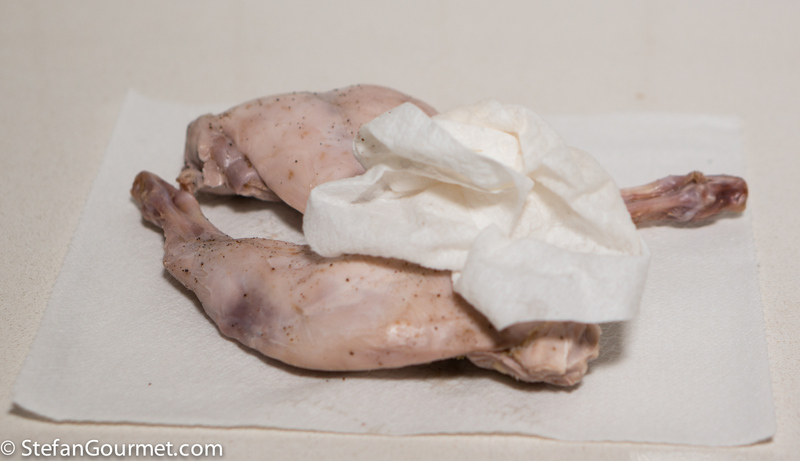 …and pat them dry with paper towels. 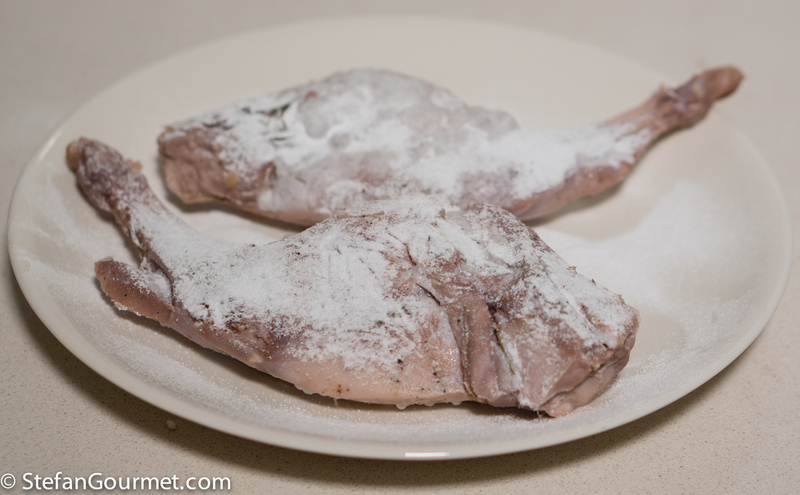 Sprinkle generously with baking powder. This will increase the pH and will help with the Maillard (browning) reaction. 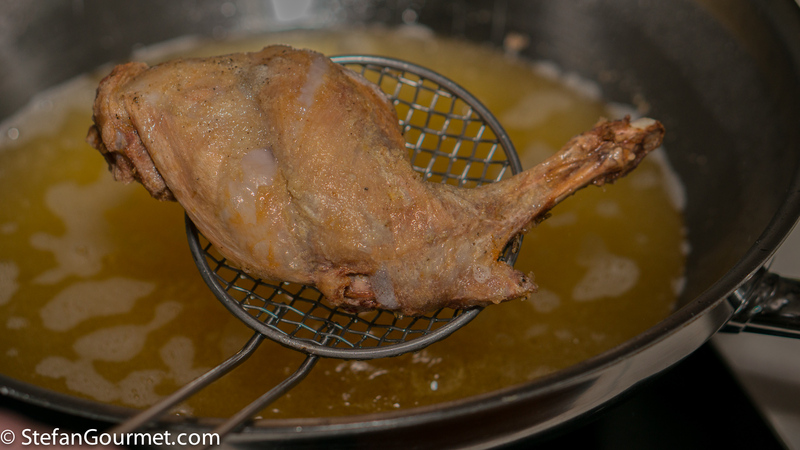 When the oil is 180C/350F, add the rabbit legs. Deep fry them until golden, which should only take a couple of minutes. 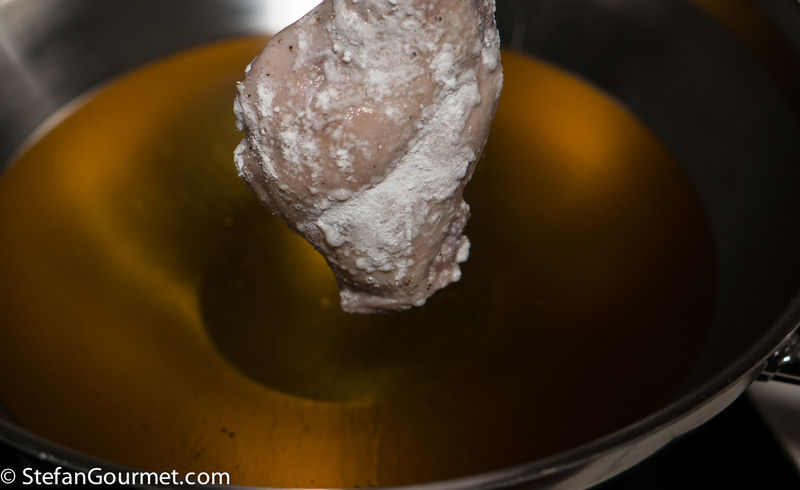 Lift them out of the hot oil with a strainer, and drain on paper towels. If you timed everything perfectly, the pumpkin, lentils, and rabbit will be ready at the same time. 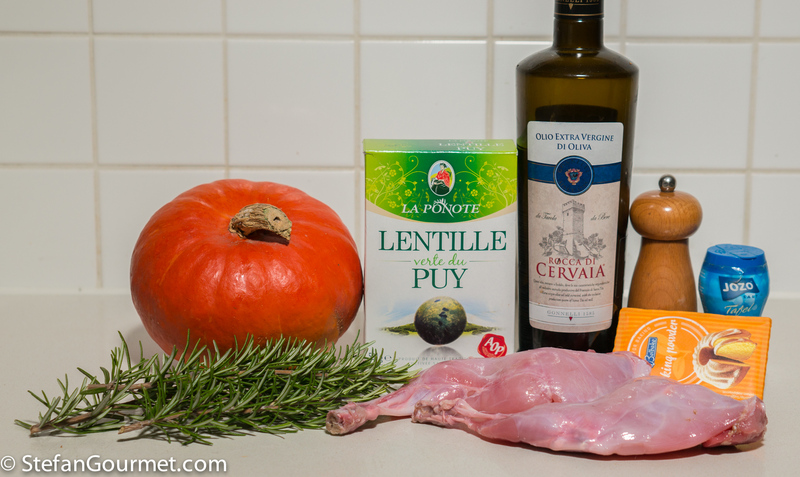 Serve the rabbit, pumpkin, and lentils on preheated plates. Cajun style is an original way to prepare fish sous-vide that is very tasty. At this time of the year in E Australia I’ll have more trouble getting fresh pumpkin than rabbit 🙂 ! This is totally and absolutely ‘up my tree’!! 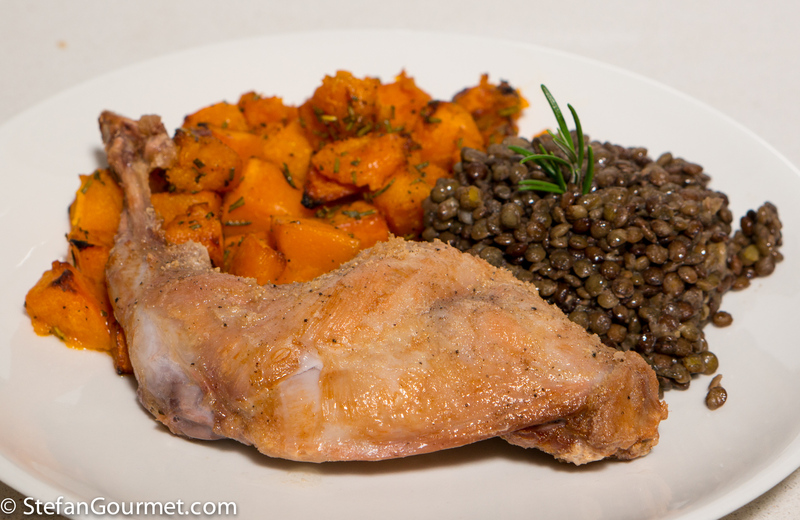 The puy lentils and rabbit I have enjoyed before . . . here we go: on top of the list the first time I see a beautiful butternut pumpkin 🙂 !!!! It would have to be chicken here, but I have a sous vide now! Won’t have any of those recipes up until i get two hands back… Looks deliish, love lentils too. Wait a minute. Something ain’t right here. 1 hour @ 150, 2 hours @ 140, but EIGHT hours @ 167?!!!! Huh? Please explain. I’m actually from Brunswick County, Virginia (USA) and make original Brunswick Stew with squirrels (mainly for myself), although I DO use chicken for the less bold among us. . It generally takes about 12-13 hours, counting both prep and cooking time. Actual cooking time I believe runs around 6-7 hours. You know it’s done when the pork fatback has completely dissolved and the paddle will stand up by itself. Above all, STIR it the WHOLE time, once it gets going. AND, for at least an hour or so afterwards, too. Do NOT let it stick! If you or anyone else would like my recipe, please reply to my email, bogburn48@comcast.net … or, I can post it here (your call). It’s not proprietary. Hell, it’s been in the family over 100 years, but everybody ’round here generally makes it the same way. Anyway, take care, Bro. And keep up the blogs. I’s learnin’. You’re doing a great job! God bless! Questo coniglio deve essere buonissimo! Can I substitute butternut squash for the pumpkin? Definitely. 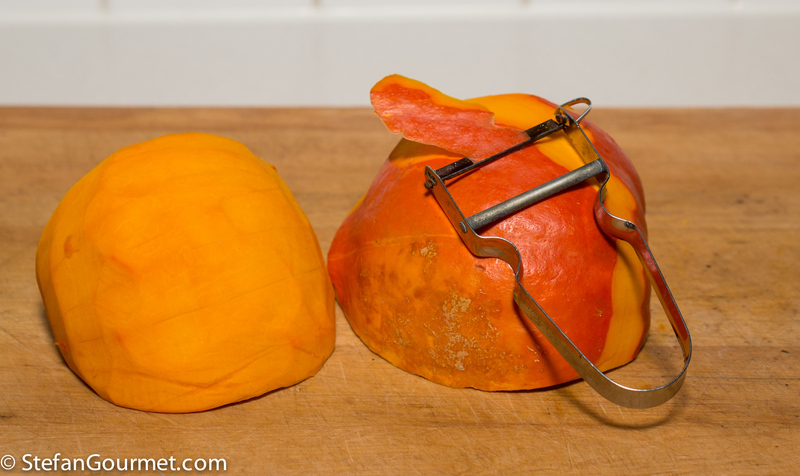 In Italian, both pumpkin and squash are called “zucca”. And in Dutch butternut squash is called “flask pumpkin”.